Another Pocket Gamer Connects London has come to a close (our fifth in fact) and it's time to reflect on the big stories and trends that came out of the event. It's no secret that influencer marketing is becoming one of the most alluring strategies this year, and PGC London 2018 did nothing but support that. PGC London saw it's first ever dedicated influencer track, plus several other panels dedicated to influencer marketingdotted throughout the event. Full coverage of the event can be found here. However, this is all about exploring the big influencer trends, and compiling the topics and plans that our track of experts had in their sights for the coming year. 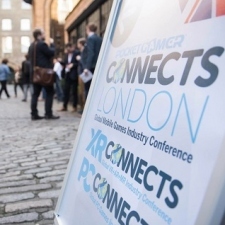 So without further ado, here's five things we learned about influencer marketing during Pocket Gamer Connects London 2018. While brands are now well versed in promoting across the likes of Facebook and YouTube, it has become apparent that they're not so versed in advertising on Snapchat. Snapchat reigns as the platform of choice for a whopping 79 per cent of youngsters in the US, and that's a lot of eyes. Without optimisation and targeting, that demographic is going to skip right past any advert that isn't concise and visually appealing. Fanbytes' Timothy Arnoo explained that simply repurposing adverts designed for other social platforms is not enticing Snapchat users. Which is why they've built the Sandwich Ad format. The Sandwich Ad format allows brands to create and distribute short, snappy optimised adverts to run on Fanbytes' influencer network, so Snapchay users can fully engage with it. This type of advert is helping maximise engagement and ROI on content, captivating users in a way that repurposed adverts cannot. It's important to remember that influencers will have a certain tone with their audience. If they stray from that tone, the content becomes disingenuous and disliked. Letting go of the wheel and allowing the influencer to drive a campaign will do wonders for the reach. Britt Bagnall of Cherry Pick Talent advised brands to lets influencers be the driving force of a campaign. They understand their community and what their fans want to see. A different take or a style forced by an external brand is more likely to taint the overall product. Influence used to be all about the numbers; who can rack up the most subscribers and followers. Right now, particularly on YouTube, it's all about that watchtime. Having a massive subscriber base is almost worthless unless fans are actively watching and engaging with your content. The Yogscast's Rich Keith spoke at PGC about understanding the value of your content. Views are just one factor to consider when planning and making a video. Creators need to think about the length, relevance, and frequency of their uploads to maximise those watchtimes. Up until now, there's been a misconception that the bigger influencers will create the best ROI. We're starting to see that this isn't the case. After ten years of YouTube success, some of those bright stars with big numbers are beginning to enter their red dwarf stage. Their huge subscriber counts remain, but they're not raking in the engagement they once did. In enters the micro-influencer. The creator with a tenth of the subscribers, but an astonishing sub to view ratio. These smaller, community orientated influencers are speaking directly to their audience. They're building trust, they're engaging one on one with fans where they can to ensure they're creating the best possible experience. Their audience - while significantly smaller - is a perfectly curated, 100% targeted field for companies to sell to. If your vision aligns with the influencer's, companies are way more likely to see a better ROI working with those smaller, cheaper creators. For as long as influencer marketing has existed, brand deals and collaborations have had a similar template. Imagine an influencer in a sepia tinted photo, smiling and holding a product with a general caption underneath about how great it is. In 2018, that's not fooling anyone. This ties on to the point about letting the influencer drive the campaign. While a business wants to advertise, an influencer wants to make content. It's necessary to realise that a compelling video will become an advertisement in itself, if the fans are engaging with it. The end result doesn't have to be an overly polished, disingenous pitch about a product or service. The influencer can adhere to their own style of content without compromising the overall goal.